I was quite proud of myself for the lack of laziness I displayed in the kitchen tonight despite our long day and my lower back pain. (Yay for being a girl! Not. (I am helping Shawn Spencer bring it back.)) Yes, I did just double-parentheticize. Which is a word. I really wanted some curry on the drive home, and I successfully resisted stopping at a restaurant (which would have cost $30 with tip for just The Boy and I without appetizers or drinks). Since I made it all the way home, I decided I owed it to myself to make some curry. The other day, I picked up some Garnet Yams from the co-op after seeing them advertised on sale, and I was curious how they would be different from yams and sweet potatoes I had had before. I did a search on a vegan potato curry and decided I could whip something together pretty easily. I had two recipes up to compare their ingredients and decided the simpler recipe made more sense. The more complicated recipe was going to turn out spicy, and The Boy is not a lover of the spicy stuff. (I am, but I can take one for the team.) This was my first time using coconut milk from a can. I was quite surprised by all the fatty goodness at the top of can! Who knew? The Boy patiently waits while his plate is captured. If I had to change anything, I would be more careful about the oil used for the garlic and onion. It was too much. (I tend to eyeball the ingredients to most of the things I cook.) 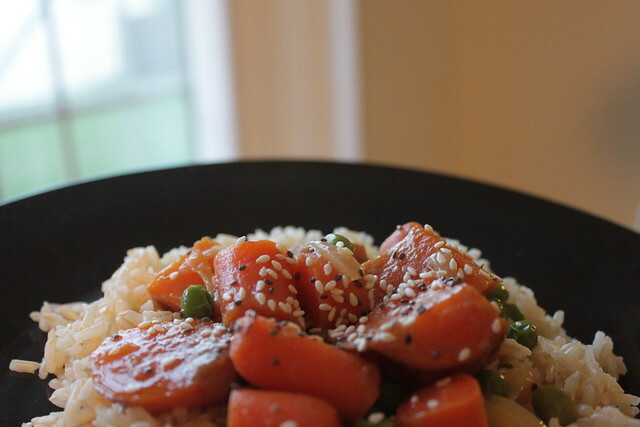 It kept the dish from being farther on the creamy side from the oily side. It was still delicious, though, and we have three solid servings tucked away in the fridge for meals early this week (if it survives tomorrow). It even received the stamp of approval from The Boy who immediately said he'd rather not eat it when he saw it on the stove. I gave him a small bite, and he was converted. Here's hoping we don't wake up orange tomorrow. Last night I attended a fundraiser event for the local Big Brothers/Big Sisters organization, and there was a silent auction. Two of the auction items caught my eye. 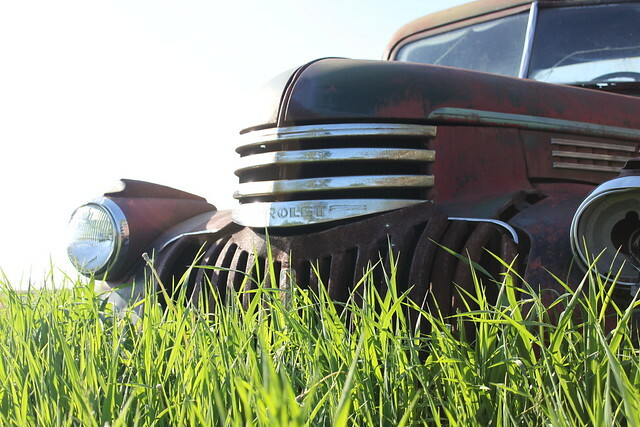 First, there was a photographer (Virgina Pinkston) who and a picture of an old truck on her business card. I was so excited that is was the same truck I found on some back roads that I started telling her about it, but it turns out her truck was in Michigan, not Illinois. Here is the picture on her site. Below are some shots I took of my truck. 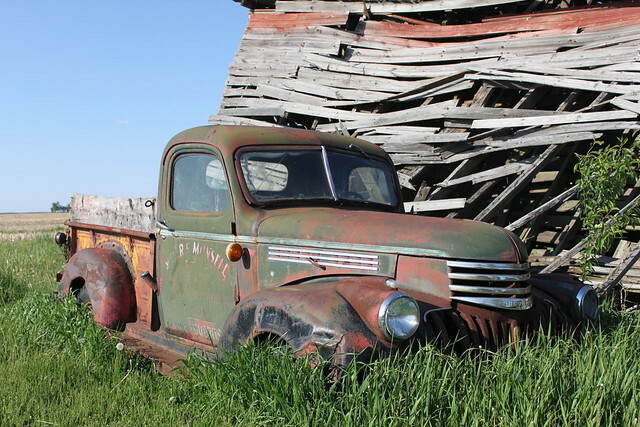 Obviously, I was wrong as my truck is much older than hers, but in my defense it was a teeny-tiny picture. :-) Still, there is some resemblance. The second auction was a basket of adorable creations by a company called Happy Hybrids. I saw two ladies getting their picture taken with the basket, so I asked if they were the creators. They were, and I asked them about the materials they used. It looked like they repurposed some Halloween gloves and wool. It turns out, I was right. Not only that, but everything they create uses recycled products, and it's locally owned/run. I hinted (pretty heavily) that they might be a good fit for selling their creations at B. Lime in downtown Champaign, and I hope they contact the store. Visit their web site or the Happy Hybrids Facebook Group to see the super cute creations! More Cheering at Sporting Events! 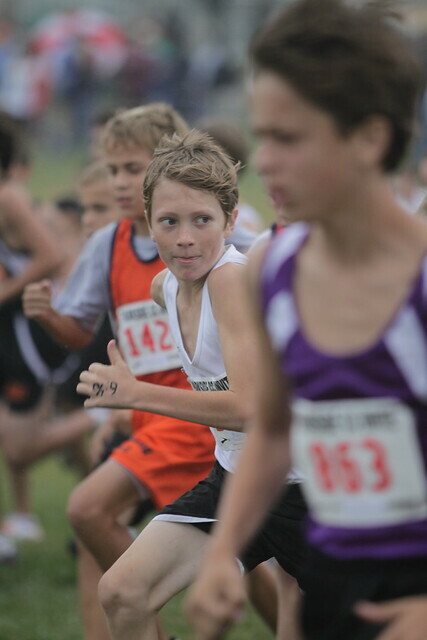 I was pretty bummed that we had to miss the first soccer game of the season this morning, but it is a park district team (versus a school team) so cross country won out. The meet started at 9:30am (the bus left at 6:45am), and the game was at 8:30am, so there really wasn't a way to make it work. The opponent was our old coach's new team. The league is so small though (four teams) that we will get to play them again. Our new team lost (by a fluke goal according to one of the opposing coaches), which I am hoping will knock down some of the egos I have seen on the new team. Is that wrong somehow? I can't believe my camera did what I wanted! 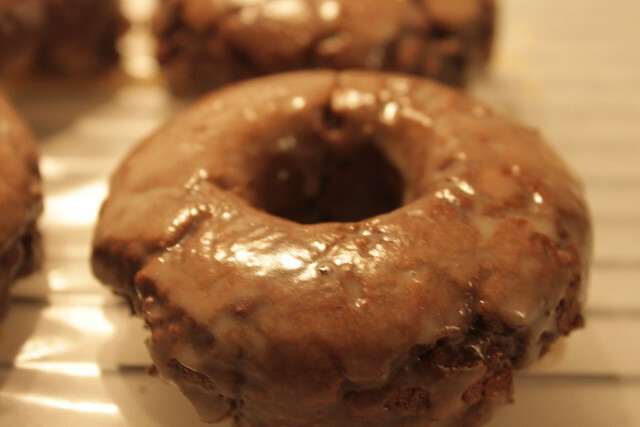 With vegan baking, even though I am pretty confident in my skills, it is always best to serve something that you have tried your hand at before. So, I spent an hour last night conducting a trial batch. Like a lot of vegan baking recipes, they are super fast to put together, and you can clean up as they are baking in the oven. Easy as pie. (Mmm, pie.) 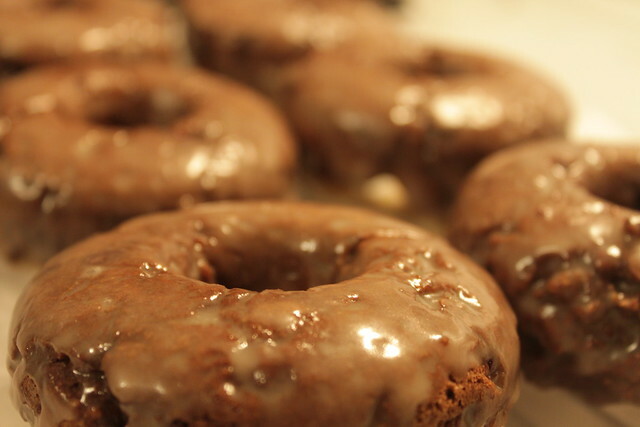 The recipe only makes around nine doughnuts, so I will have to double or triple it for the upcoming potluck. The results? Good! I think the main improvement I would make is adding just a bit more of the liquid ingredients to hold off any of the dryness. (It's possible I didn't measure my dry ingredients very well ... eyeballing it counts, right?) I also needed to make a bigger batch of the icing that the recipe instructs. That's no big deal. The best part of making the batter - aside from any taste-testing that may or may not have occurred - was not having the crushed any vegan chocolate chips. I was across town when shopping for the baking supplies, and I went into a Schnuck's I haven't visited in five or more years. Guess what I found there. Ghirardelli mini chips I never knew existed! Perfect! Enough with the babbling. On to the pictures! 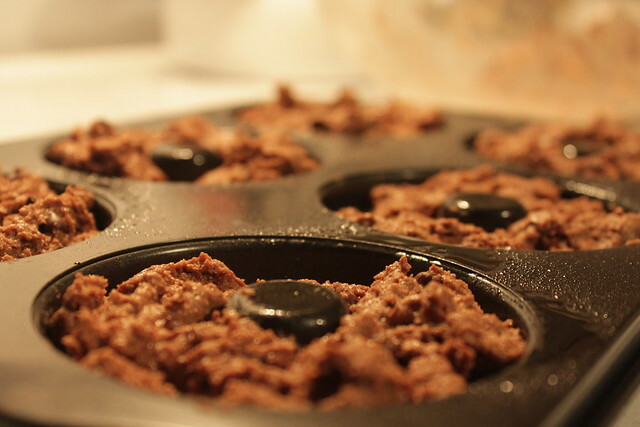 The batter in the pan. I really didn't know how full or smooth to make it. Not a big deal. Out of the oven and iced. Mmm. Ready for a taste test? Yes! P.S. Thanks to Quigs78 for the loaner on the doughnut pan. I will definitely invest in one of my own. Perfect for a power lunch or gourmet dinner, this panini is protein-packed, cholesterol-free, and heart healthy! Saute onion with oil and salt until soft and browned. Add garlic and spices and cook for a few more minutes. Add chickpeas, tomato, and ½ cup water. Adjust seasoning to taste and simmer for 15 minutes. Let cool and pulse in food processor. Mix in cilantro. Preheat oven to 400° F. Toss cauliflower with ¼ cup olive oil, salt, and pepper and roast for 30 minutes or until florets are fork tender. In the meantime, saute remaining onions in 2 tablespoons olive oil with a pinch of salt until soft and browned. Add spices and cook for a few more minutes. Mash cauliflower, potato, and lemon juice into the onion mixture. Adjust seasoning to taste. Combine all ingredients in sauce pot with a splash of water. Cook on low for 10 minutes. Pulse in food processor and refrigerate. Layer the 3 components on panini bread with spinach and press. Get it while it’s hot! 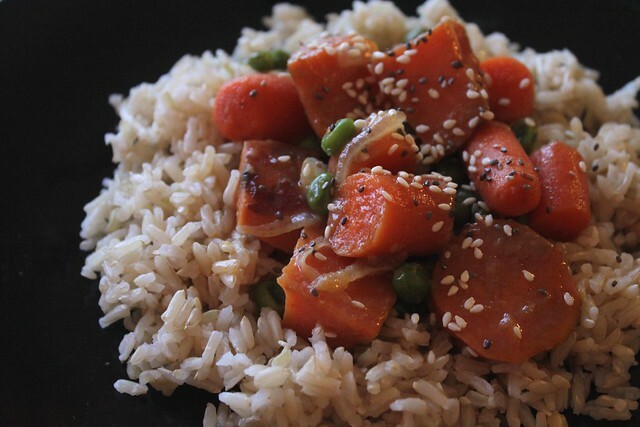 A yummy sounding recipe from the Common Ground newsletter. Place sugar in a small, heavy-bottomed saucepan with 1 cup of water. Bring to a boil and boil for 1 minute. Pour into a heatproof container and add the mint leaves. Refrigerate. Meanwhile, place watermelon chunks, seeds and all, into a blender and puree. Strain the juice through a coarse-mesh strainer into a large bowl. Add lime juice. Strain cooled syrup into the watermelon mixture. This makes a delicious beverage (especially over ice with a slug of tequila), but I like to make it into popsicles. If you have official popsicle molds, use those. If not, lay out some paper cups on a tray. If you're using blueberries, place a few in the bottom of each cup. Fill each cup 2/3 full of watermelon mixture, cover with foil, and poke a stick into the center. Freeze for at least 8 hours. A copy/paste is all I can manage at the moment. Thank you for all of your condolences. As much as I wish she was still here, she knew her mind and her decision. Respecting her wishes and being at her bedside was the least we could do. Jack wanted to be with her, with us, and so we had a late night last night. She was gone around 10pm, and we came home to Champaign around midnight. Needless to say, I am not making him go to school today. He got to cry and tell her goodbye. He didn't want to let go until he knew absolutely she was gone. I know death is hard, but being excluded can be harder, and I am glad he was allowed to be there. Her five children were all in the hospital with her, along with Mary B., Bev G., and David Lucas. Everyone was in her room with the exception of Uncle Dave who had said his goodbyes already (and Mary B. who wanted to respect any wishes Grandma may have had about others seeing her at the end). He has had his share of seeing someone go with his father and a good friend, Larry, and his siblings understood. We made sure to ask him multiple times just in case so he didn't have regrets. David Lucas was there as well. He said she was the closest to having a mother as he had had in a long time. I am glad Mom found him. Thank you, Grandma. For your love, acceptance, and baking. For your afghans and cards. For your hugs and phone calls. For your stories and smile. I will do my best to prod my horrid memory to hold onto these things into the future. 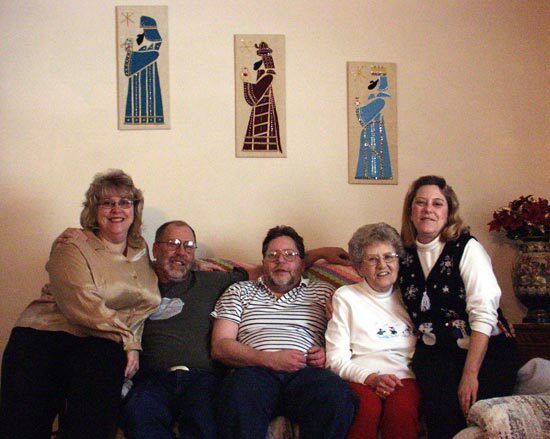 Grandma and four of her children. 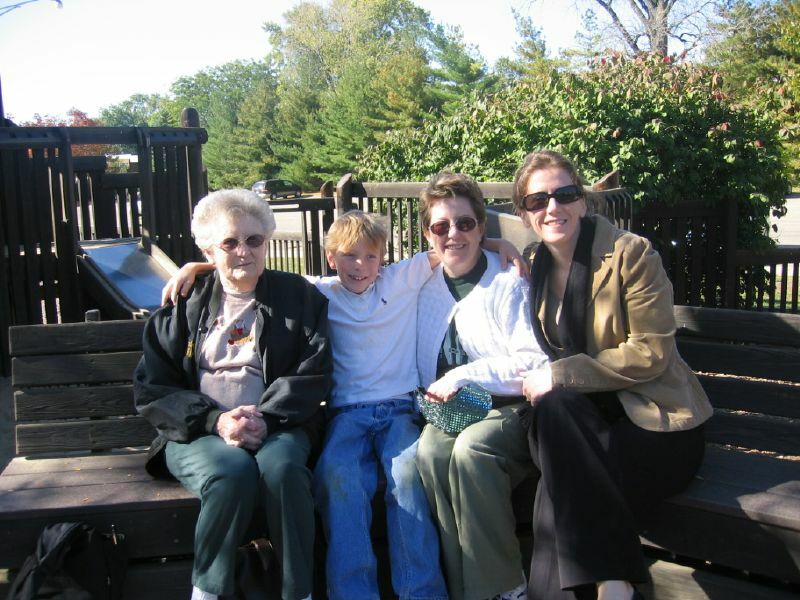 Grandma, The Boy, Aunt Amy and me at the park. 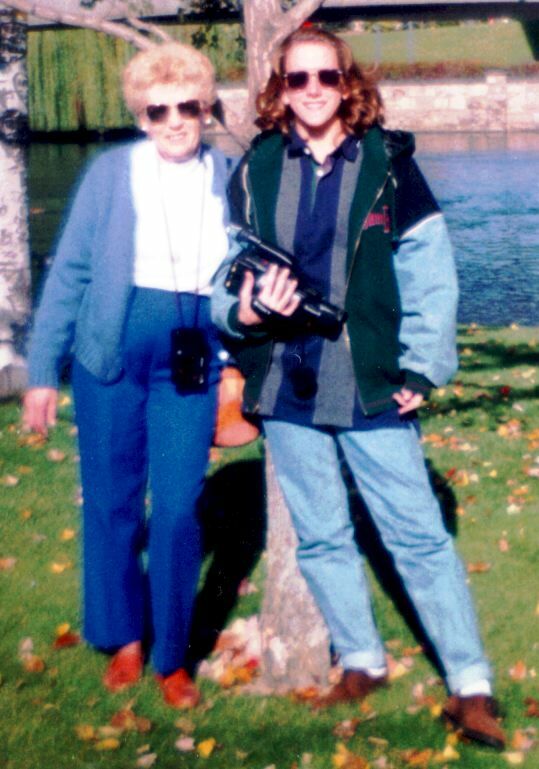 Grandma and me in Spokane (1994). 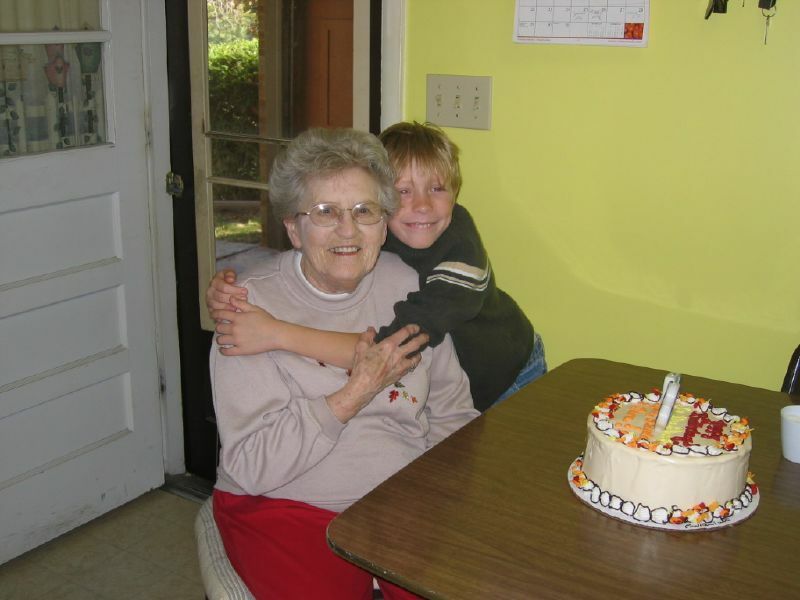 Nana and The Boy (2006).